BuyClassicCarParts.com, a comprehensive resource for finding parts for Classic, Antique and Specialty cars! Search for Classic Car parts the way you want to. 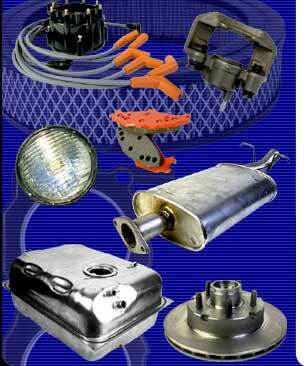 Simply choose the make of car you need parts for, and whether you want NOS, Reproduction, OEM or Used! Instantly you'll get a list on vendors to meet your needs, you can even narrow it down the state you live in! Know of a parts supplier not on this list?